"Whoa! Whoa! You can't park right here!" 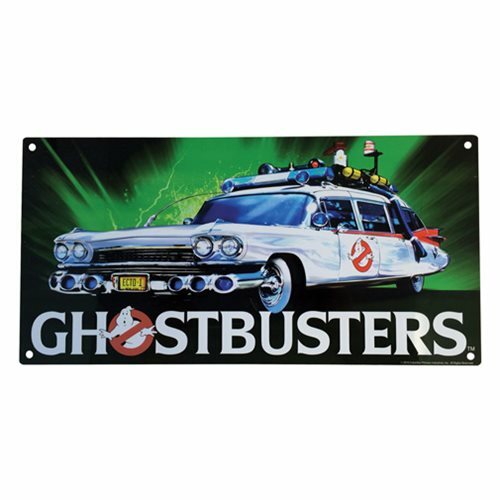 A printed metal sign, in the style of retro enamel advertising signs featuring the Ghostbusters-mobile, the ECTO-1. High quality full color printing on a pressed metal plate, suitable for indoor or outdoor use. Features 4 pre-drilled mounting holes in each corner. Sign measures 13-inches wide x 6 1/2-inches tall. Ages 13 and up.